Meteorological Centre Goa is situated in its own premises in North Goa District of Goa state and located at Lat 15° 29’ N and Longitude 73° 49’ E. Goa is a small and beautiful state known for tourism . Goa has two districts namely North Goa and South Goa which are divided into 11 Talukas, having a total area of 3702 Sq Km. Goa is situated along Konkan Coast of India and has a coast line of 131 km. It has a partly hilly terrain with the Western Ghats rising nearly 1200 meters. There are two main rivers of Goa which are Mandovi and Zuari. Goa receives Most of its rainfall during Southwest Monsoon from June to September with an average of 250 cm. Goa was Portuguese colony till 19th Dec 1961 when Indian Military Forces liberated it with the help of Freedom Fighters and territory was incorporated into Indian Union.On 30th May 1987 Goa was granted a full fledged statehood. Later it was known as “Goa Observatory” in the middle of the year 1963 as a part of India Meteorological Department. 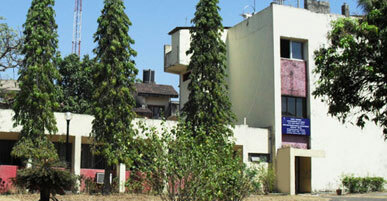 It was declared as “Meteorological Centre” from Aug 2007.